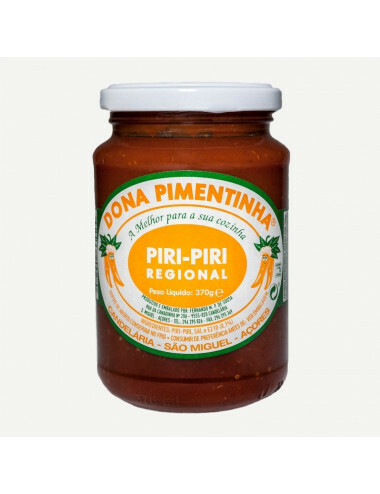 Regional piri-piri from the island of São Miguel, produced by Dona Pimentinha company. Jar of 370 grams. 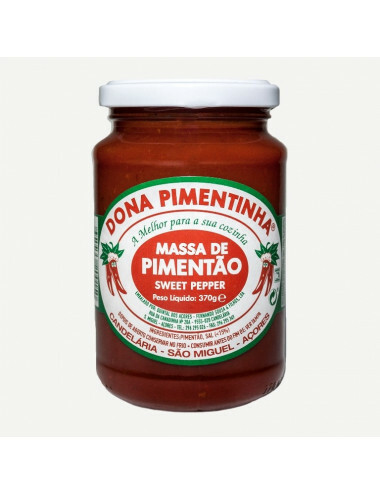 Sweet Pepper Paste from the island of São Miguel, produced by Dona Pimentinha company. Jar of 370 grams. 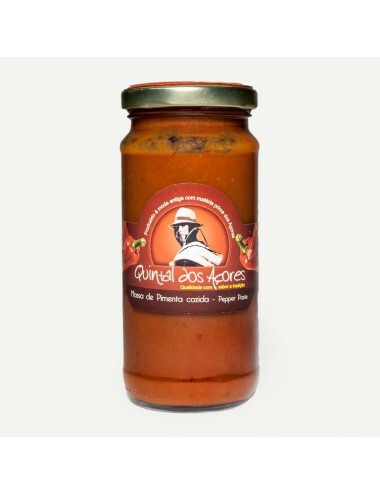 Spicy Fresh Cheese Pepper from the island of São Miguel, produced by Quintal dos Açores company. Bottle of 280 grams. 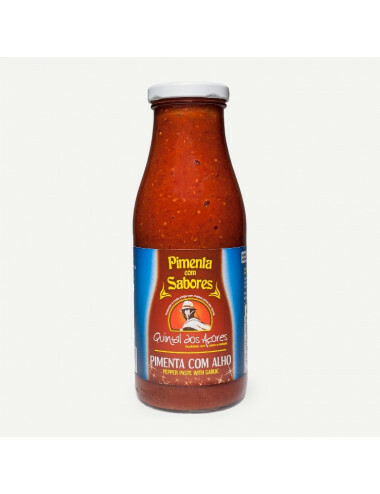 Pepper paste from the island of São Miguel, produced by Quintal dos Açores company. Jar of 500 grams. 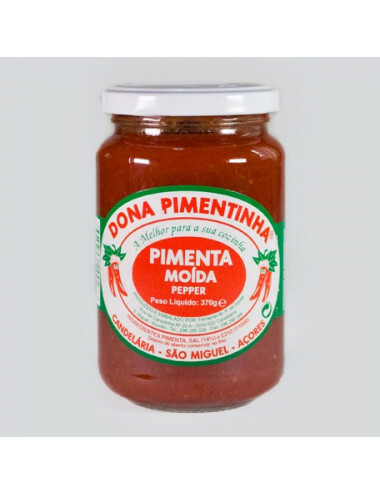 Minced pepper from the island of São Miguel, produced by Dona Pimentinha company. Jar of 370 grams. Pepper paste with garlic from the island of São Miguel, produced by Quintal dos Açores company. Jar of 500 grams. 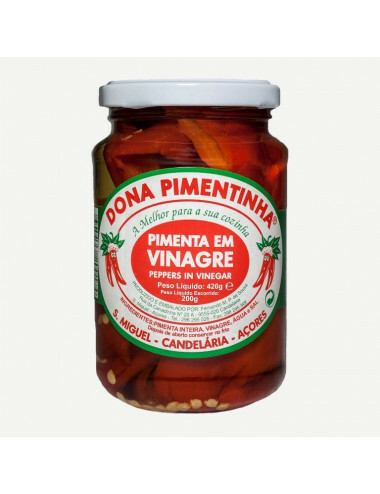 Whole red peppers in vinegar from the island of São Miguel, produced by Dona Pimentinha company. Jar of 420grams. 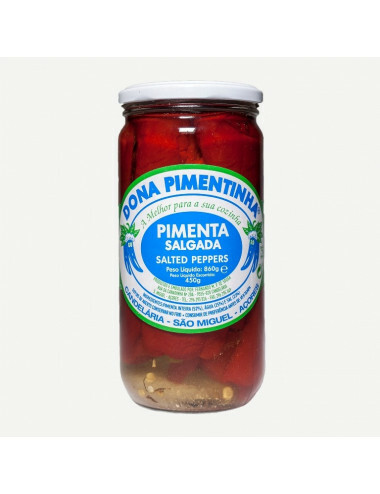 Whole red pepperswith salt from the island of São Miguel, produced by Dona Pimentinha company. Jar of 860g. 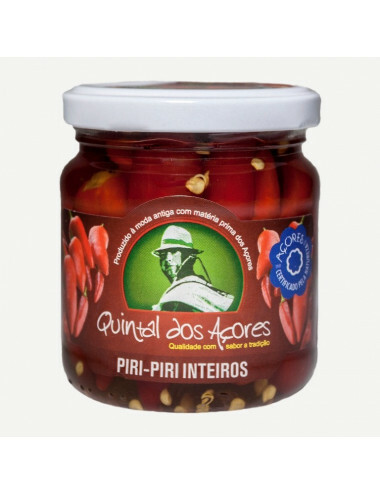 Whole red chili peppers from the island of São Miguel, produced by Quintal dos Açores company. Jar of 200g. 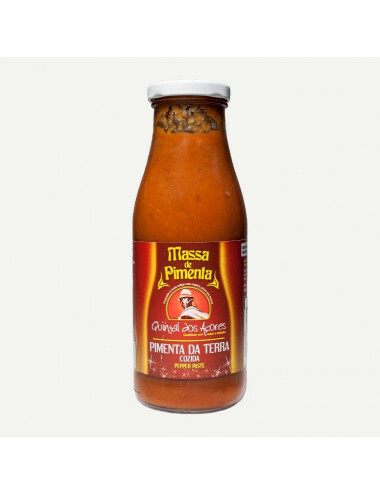 Pepper paste from the island of São Miguel, produced by Quintal dos Açores company. Jar of 260 grams. 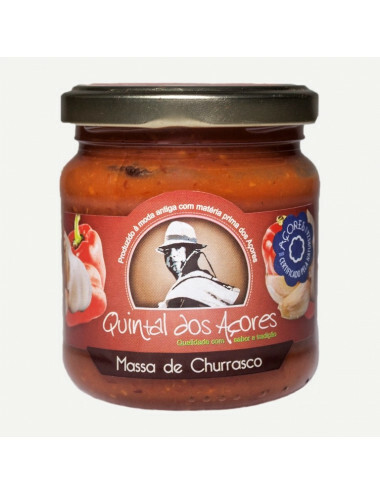 Barbecue paste from the island of São Miguel, produced by Quintal dos Açores company. Jar of 200 grams. 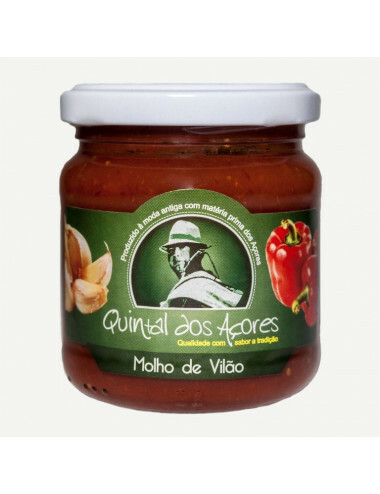 "Villains sauce" from the island of São Miguel, produced by Quintal dos Açores company. Jar of 200 grams. 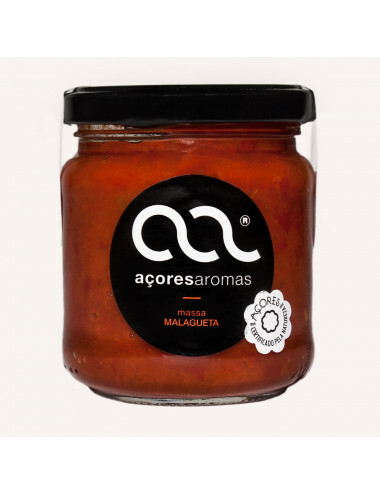 Red pepper paste from the island of Terceira, produced by Açores Aromas. Jar of 200, 400 and 700 grams. 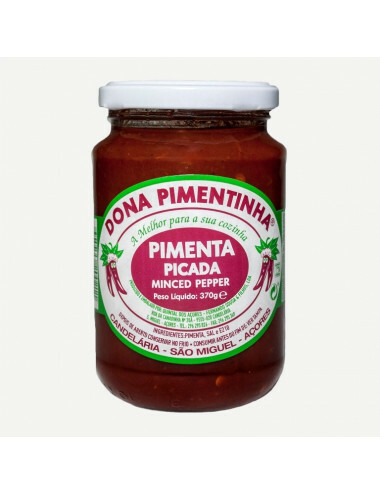 Minced pepper paste from the island of São Miguel, produced by Dona Pimentinha company. Jar of 250 grams.